Sometimes it's the pure novelty of a Matmos album that makes it so enjoyable. Sometimes it's that same novelty that makes it hard to separate the medium from the message. On Plastic Anniversary, the Baltimore duo aren't afraid to triumphantly straddle the line between these two truths. After recording albums by sampling surgical instruments and a washing machine, Drew Daniel and MC Schmidt celebrate their 25th anniversary as a couple (and the plastic jockstrap that brought them together) by crafting an full-length made entirely from plastic objects. 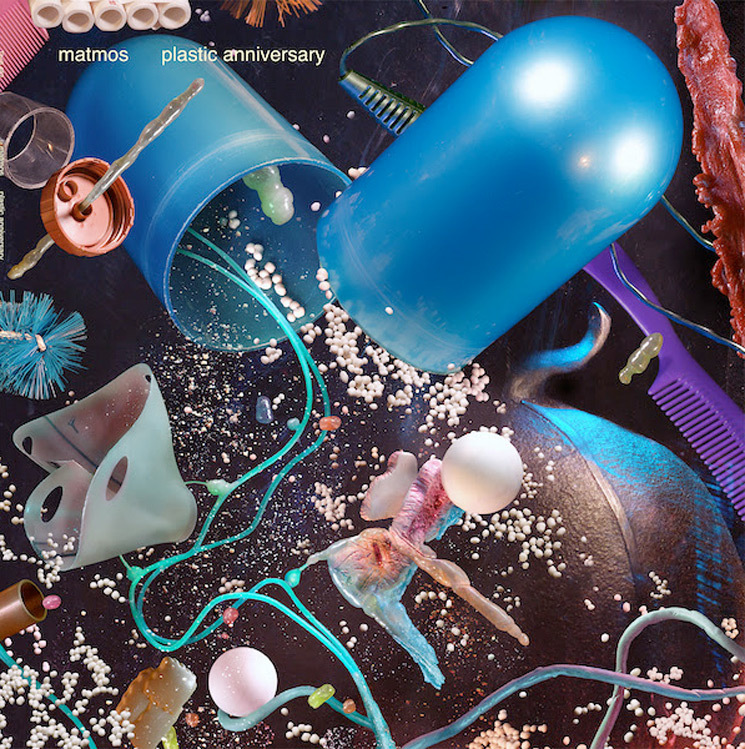 Tracks like "Interior with Billiard Balls & Synthetic Fat," "Silicone Gel Implant" and "Thermoplastic Riot Shield" come off just as advertised, as the listener becomes entranced with the jaunty and bouncy sounds these items make, and how Matmos arrange them all together. But Plastic Anniversary becomes more liberating and fulfilling once the listener realizes that Daniel and Schmidt want these plastic objects to sound plastic. From there, the beauty and craft of plastic horn-riddled songs like "Plastic Anniversary" and "Fanfare for Polyethylene Waste Containers," and the marching band rhythms of "Collapse of the Fourth Kingdom," truly shine through.